Who’s to Blame? Parents of course! Have you gotten this sense? Whenever someone does something wrong, or acts irresponsibly, or runs through Walmart like a maniac, while you’re shopping for school supplies, acting like someone has never told him how to behave in a public place. We look to the parents as though they were the one doing it. There’s a reason we blame parents. Well, several reasons, but I’m going to focus on one. 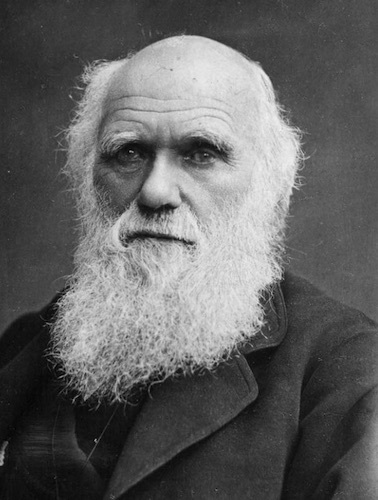 Psychological science was born at the same time Darwinism was getting momentum. As studies were done to figure out humans, they needed a theory to explain why things were the way they were – and evolutionary theory was handed to them on a platter. It was an exciting time, because it seemed, the theory explained so much of human development and behavior. The problem is, evolution doesn’t explain “getting worse.” In theory, we should be getting better and better. Our genes should be getting more adaptable. (And in a sense, our parenting should be flawless by now.) Yet, anxiety has spiked, suicide has increased, mental health disorders are increasing by ridiculous rates (for instance, when I was finishing up my final degree, autism had risen 1000% in the previous 10 years). Someone must be to blame for this. Add to this the fact that psychology does not have a theory that explains human brokenness. Most psychological theories that are respected currently say that humans are essentially good. All good. That is, we’re good until other people hurt us. Parents abuse, society oppresses, spouses ignore. Even if parents didn’t abuse, they must have punished too harshly, or not given enough attention. In other words, there must be something the parent is doing or has done to cause the problems. If you are a parent, you may feel this – the need to be absolutely vigilant because if your child is the one hitting others in preschool, you haven’t done enough to keep them under control. If your teen is anxious or unmotivated, you haven’t done enough to show your child their value. And, God forbid, if your adult child commits suicide, you should have seen it coming and stopped it. Christians believe differently though. We believe that babies come into this world already touched by the effects of the Fall. Their bodies and personalities were formed within the confines of brokenness. We believe in addition to the developmental limits of being human, we all sin. We all want good for ourselves and will hurt others in order to get it. We all want to avoid pain, and will lie to get out of discipline. Therefore, Christians can offer parents a grace that the rest of society cannot. We understand that while the parent is doing what they can (amidst their own limits, brokenness, and sin), the child will always show evidence of their limits, brokenness, and sin. Christians have hope that there is more to the story; we anticipate what Jesus will do in the midst of crazy. And, we can wait out the pain of watching a child rebel, because we know that God remembers and is near. Psychological science can give us tricks. My whole doctorate can be boiled down to the fact that in almost every disorder, breathing helps. It helps to breathe. (Thank you, Science.) But psychology does not acknowledge all of reality, particularly the sin of children, so it will always come back to blame parents. Church folk, let’s be different – let’s not blame parents when their child comes out of the closet, drops out of school, or can’t keep a job. Let’s give them (a) space to grieve, (b) reminders that Jesus bore our shame on the cross, (c) and a place to figure out what to do now (if there is indeed something to do). Dropping blame is something that sets us apart from our world, but is something our world desperately needs.